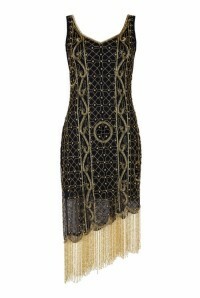 For a heart breaking, show stopping vintage party dress that brings just the right amount of nostalgia, this Gold And Black Flapper Dress is bang on the money. 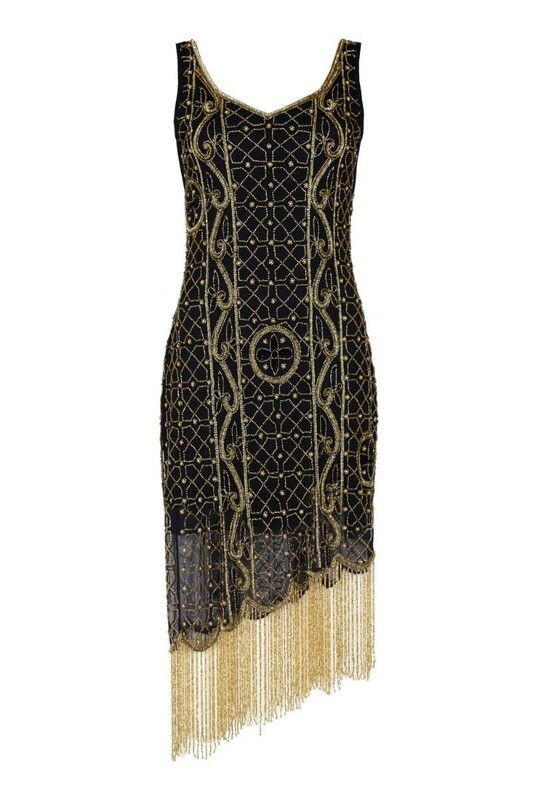 It is not often that a vintage inspired dress is kept up to date with such fabulous details but the a-symmetric hemline and geometric beadwork make this black and gold 1920s dress as pleasing to a modern fashionista's eye as it does to a vintage loving lady. There is not an occasion we can think of that this black tassel dress wouldn't rock so take it home and watch it become the hardest working party dress in your wardrobe.